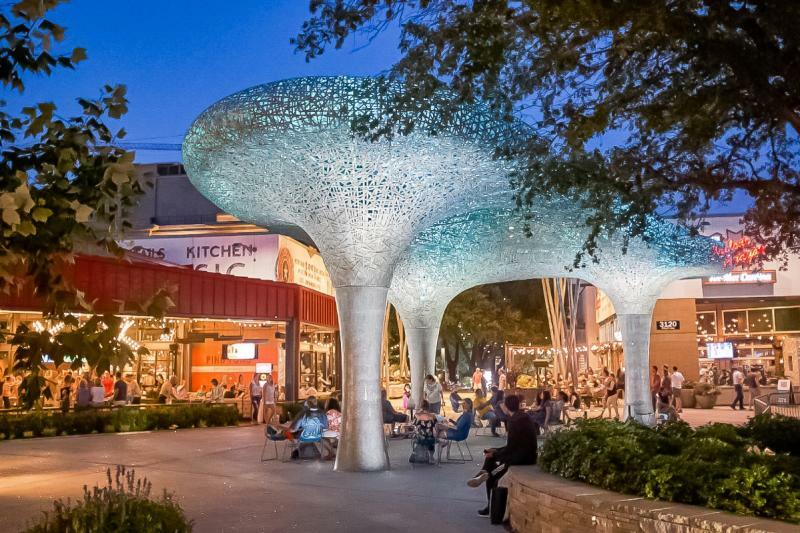 Northwest Austin has a variety of shopping, dining and nightlife options, making it a vibrant and upscale area that offers all that downtown Austin has and more. 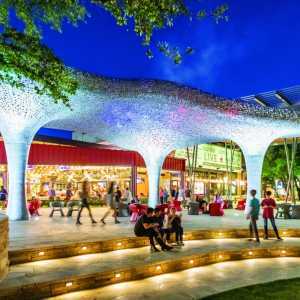 The area includes The Domain and Domain NORTHSIDE, a walkable outdoor district containing retail stores and local restaurants, and the Arboretum, which offers family-friendly events, multicultural restaurants, hike and bike trails and high-end shopping. Domain Rock Rose. Credit Alex Hayden. 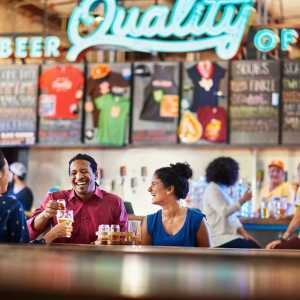 The Domain features more than a dozen hotels, many within walking distance of live music, local restaurants and shopping. Aloft Hotel, which has the latest amenities and is in the center of the business district. Archer Hotel, which provides curated luxuries and shows off Austin’s creative and quirky side within its limestone and wildflower walls. Lone Star Court, a boutique hotel boasting an Austin aesthetic impossible not to love, offers outdoor pavilions and seasonal events like movie nights on the lawn. Experience a vibrant and versatile setting for connection and collaboration at Westin Austin at The Domain. 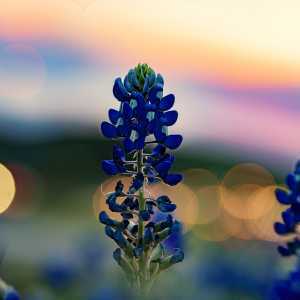 If you’re looking for hotels within shuttle-distance from The Domain, the Arboretum has several unique hotels: Renaissance Austin Hotel blends contemporary sophistication with the awe-inspiring beauty of its Texas Hill Country surroundings. For more northwest Austin hotels, visit our Places to Stay section. Thai Kun. Credit Mark Weatherford. 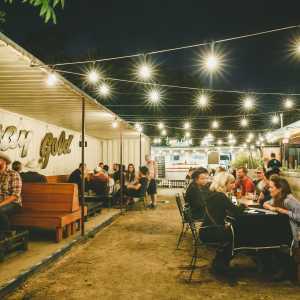 North Austin boasts numerous world-renowned chefs while remaining true to its roots with local fare from taco shops and food trucks alike. 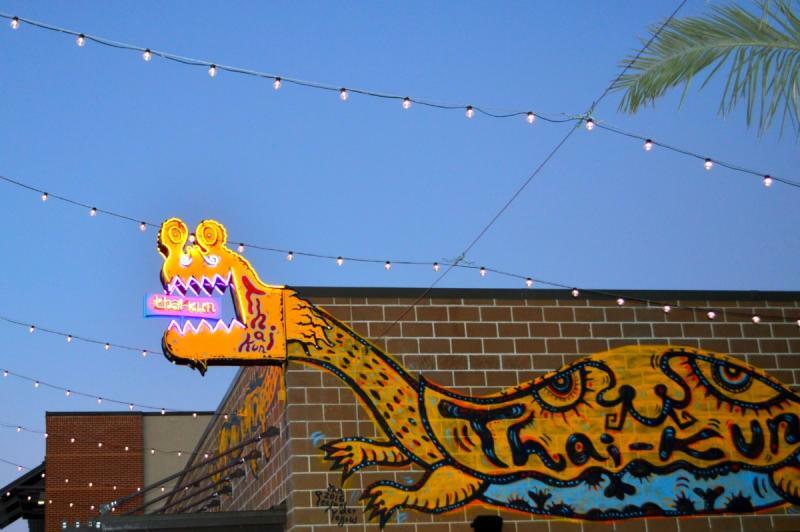 The Rock Rose district is full of local restaurants and watering holes that showcase the area as a thriving entertainment district that can compete with the best of Austin nightlife. 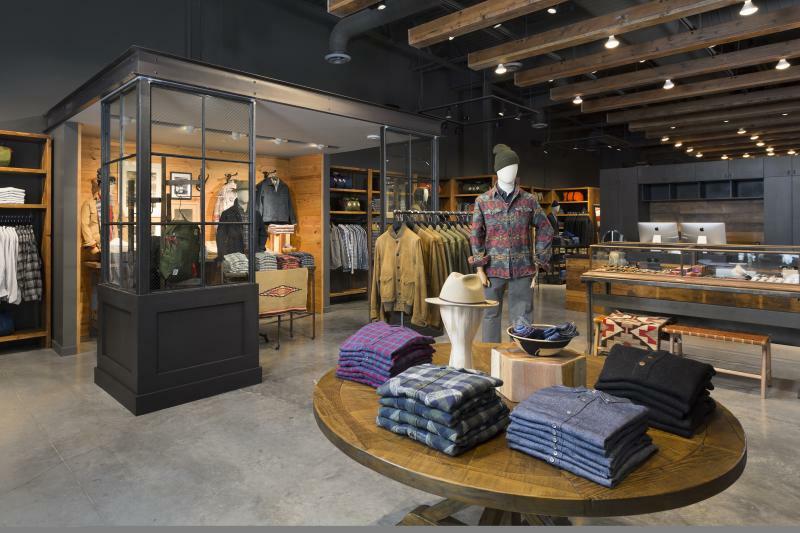 With hundreds of upscale and affordable retail stores, like Louis Vuitton and David Yurman, to local staples like Luxe Apothetique, Scout & Molly’s and Mana Culture, it’s no secret that North/Northwest Austin is the top spot to get some shopping done. The Domain and the Arboretum are 20 minutes to downtown by car, bus or Capital Metro light rail and 30 minutes to Austin-Bergstrom International. Uber, Lyft and other rideshare options are also available. Renaissance Hotel and Embassy Suites operate complimentary daily shuttles (3-5 mile radius), and Westin, Archer, Aloft and Lone Star Court offer complimentary shuttle service around The Domain area. Airport shuttles available from the Arboretum and The Domain starting at $19. Capital Metro Light Rail: $7 daily commuter, $3.50/ride, stops at Downtown Station and near The Domain at Kramer Station.